In this Mexican-American family, there are special holidays and family dinners; music, dancing, and fun at a favorite restaurant; and cherished quiet moments like visits with grandparents. These day-to-day moments become the fabric of family tradition, and eventually, warm memories that are perfect for committing to the pages of a book, so that other children can read about life in this loving family. 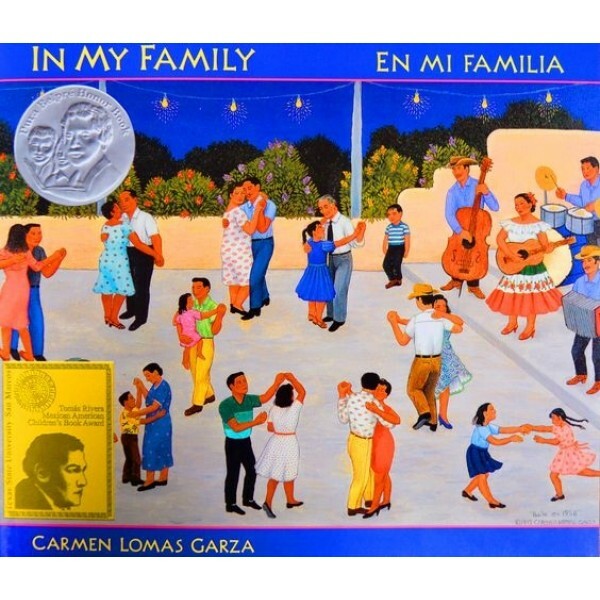 Following the best-selling Family Pictures, In My Family / En mi familia is Carmen Lomas Garza's continuing tribute to the family and community that shaped her childhood and her life. 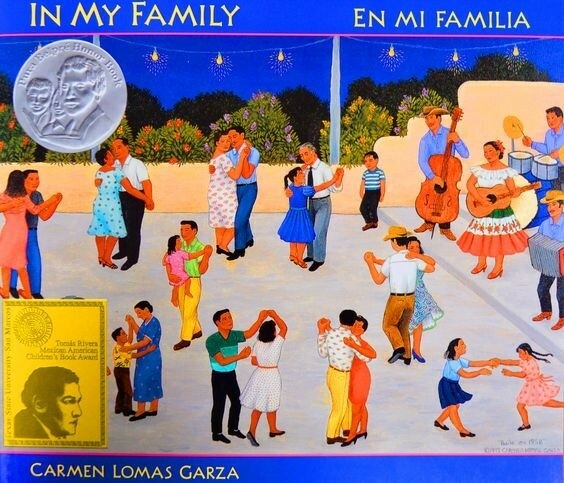 Lomas Garza's vibrant paintings and warm personal stories depict memories of growing up in the traditional Mexican-American community of her hometown of Kingsville, Texas.